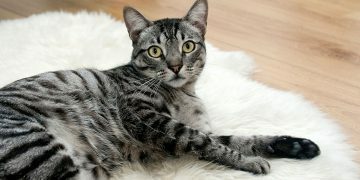 When it comes to finding the ideal veterinarian for your loving fur or feather baby it is all about good reputation. Forget about shiny office fronts, funny billboards and glitz-and-glam commercials — old-fashioned word-of-mouth is the best advertisement. Additionally, many vets have referral programs that offer discounts for both you and the friend who referred you. Before making the decision, you can always check if the vet’s practice is accredited by certain national animal hospital associations. Currently, the law does not require vet practices to be accredited. However, an accreditation shows commitment and devotion to maintaining high standards. Does it have its own parking place? Is the facility clean (you will not be able to peek behind-the-scenes, but the lobby, waiting area and exam rooms are a good indicator)? Are there separate waiting areas for dogs and cats? Do the people and animals in the waiting area feel comfortable and safe? Is the staff calm, caring and courteous? Does the practice refer patients to specialists? Does the practice offer overnight stays and, if so, how are overnight patients monitored? What emergency services does the practice offer? Are additional diagnostic procedures done in-home or referred offsite? What types of payment does the practice accept? Healthy communication: is the vet willing to listen and answer questions? Part of being a responsible owner is having your pet regularly checked by a veterinarian. All pets, especially while young, are extremely susceptible to infectious disease and both internal and external parasites. Scheduled vaccinations and regular anti-parasite treatments are needed to protect your pet. Additionally, many benign conditions can easily progress and complicate to a non-treatable degree. Other conditions can have permanent consequences if not addressed in time. Last but not least, geriatric pets have different care needs and are more prone to certain age-related conditions and disorders. With adequate veterinarian care, some of those conditions can be prevented and some can be made easier to live with. Good communication and collaboration are vital parts of quality vet care. Your pet and your vet both depend on you for an accurate description of what you have seen, felt, heard or smelled. 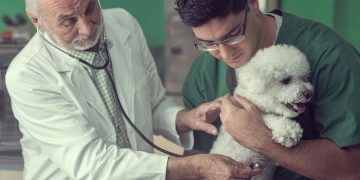 What you tell your vet and what he or she then ascertains from a physical examination and diagnostics are at the core of problem-oriented veterinary medicine. Common problems, such as scratching, limping, coughing or vomiting, may have their origins outside the part of the body obviously affected. Therefore they need to be discussed from a problem-oriented point of view. You can only describe your pet’s clinical signs and what you have seen. 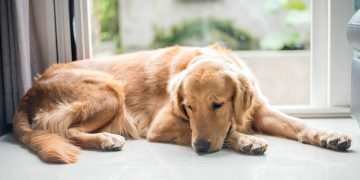 It is up to your vet to turn those signs and symptoms into an accurate diagnosis and determine a corresponding therapy. Once you find a good veterinarian, try to be a good client. Advocate for your pet, but when needed, step back and let your trusted vet take over.